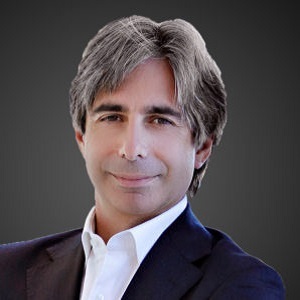 Gianluca Lazzi is a Provost Professor at the Keck School of Medicine (Ophthalmology) and the Viterbi School of Engineering (Electrical Engineering) at the University of Southern California. He was a USTAR Professor and the Chair of the Department of Electrical and Computer Engineering (ECE) at the University of Utah from 2009 to 2017. Prof.Lazzi's research work has been sponsored by several US federal agencies, including NIH, NSF, and DOE. He has made contributions to fields of bioelectromagnetics, liquid metal electronics, antennas, wireless electromagnetics, magnetic neurostimulation, and computational neuroscience. For the past 20 years he has been working on an artificial retina to restore partial vision to the blind; he is currently the Principal Investigator of an interdisciplinary and multi-institutional, National Institutes of Health (NIH)-supported research effort on “Multiscale Modeling for Neural Excitation.” He has published over 200 papers in journals, conference proceedings, and books. His research work has been featured in publications such as Forbes, the Economist, MSNBC, MIT Technology Review, and several others. Prof. Lazzi has been the Editor-in-Chief (EiC) from 2008 to 2013 of one of the leading journals in the field of antennas and propagation, IEEE Antennas and Wireless Propagation Letters (AWPL). Recently, he was one of the invited speakers at the Grand Challenges in Life Science Symposium, held at the National Academies; a keynote speaker at the 2017 International Applied Computational Electromagnetic Society (ACES) Symposium, Suzhou, China; and a keynote speaker at the 2015 URSI-AT-RASC, Gran Canaria. He is one of the co-founders of Teveri LLC, and served as its Chief Executive Officer from 2015 to 2017. Teveri focuses on the commercialization of stretchable conductive fibers knitted in clothing and athletic apparel to bring biometric, sensing and illumination solutions to smart clothing. A Fellow of the iEEE and the AIMBE, Prof. Lazzi served as the Chair of Commission K (Electromagnetics in Biology and Medicine) (2006–2008) and a Member-at-Large (2009–2011) of the U.S. National Committee of the International Union of Radio Science (URSI), AdCom member of the IEEE APS Society, Chair of Publications of the IEEE APS Society and Vice President, Publications, of the IEEE Sensors Council. He was the recipient of the 1996 Curtis Carl Johnson Memorial Award from the Bioelectromagnetics Society, a 1996 URSI Young Scientist Award, a 2001 Whitaker Foundation Biomedical Engineering Grant for Young Investigators, a 2001 National Science Foundation CAREER Award, a 2003 NCSU Outstanding Teacher Award, the 2003 NCSU Alumni Outstanding Teacher Award, the 2003 ALCOA Foundation Engineering Research Award, the 2006 H.A. Wheeler Award from the IEEE AP Society, a 2008 Best Paper Award at the IEEE GlobeCom Conference, the 2009 ALCOA Foundation Distinguished Engineering Research Award, a 2009 R&D 100 Award, and the 2009 Editors Choice Award from the R&D Magazine for the Artificial Retina Project. Bioelectromagnetics, liquid metal electronics, antennas, wireless electromagnetics, electric and magnetic neurostimulation, and computational neuroscience.